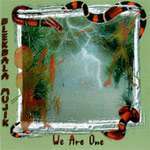 Blekbala Mujik are: Peter Millar - Guitar, Vocals; Lachlan Lawrence - Bass, Vocals; Lazarus Murray - Didgeridoo, Vocals; Johnny Blanasi - Lead Guitar; Allan Murphy - Drums, Vocals; Jason Fuller - Clap Sticks, Dance; Ngarritj Ducky - Clap Sticks. 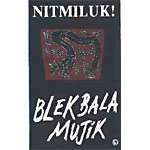 The name "Blekbala Mujik" is in Kriol, a language widely used in northern Australia by Aboriginal people. It means "Blackfella Music". Walking Together was used by the Council For Reconciliation in media campaigns.